Hector Servadac wanted to attempt a decisive assault. "Within two minutes, we can be masters of the minaret. Charge!" He had scarcely pronounced this word than a frightful change occurred. The balloon had just been turned upside down, spilling some of those who were manning it into the sky. It was still attached to the minaret, but the latter suddenly changed direction, abandoning the comet and hurtling through the air at increasing velocity, with terrible whistling sounds. "Saturn!" yelled Servadac. "We're falling on to Saturn!" Pirates! Mummies! Cannibals! Intelligent Apes! Samurais! Cossacks! And even Saturnians! 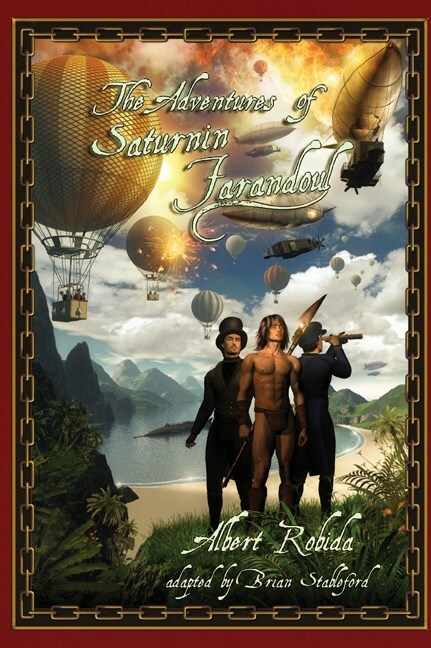 Meet Saturnin Farandoul and his companions, the fearless Mandibul and the extravagant Tournesol , as they travel the Earth and beyond in a series of wild and picaresque adventures! Of all the authors who followed in the footsteps of Jules Verne, the most important was Albert Robida (1848-1926), a writer-artist who also became the founding father of science fiction illustration. 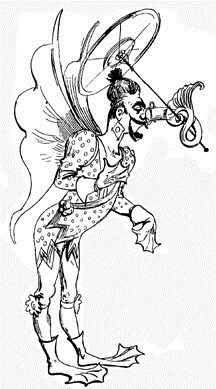 Robida wrote and illustrated The Adventures of Saturnin Farandoul (1879), a mammoth, riotous and rollicking homage to Verne in which the indomitable Farandoul, raised by apes on a Pacific Island, teams up with Captain Nemo to conquer Australia, battles with Phileas Fogg in the American Civil War, meets Hector Servadac in orbit around Saturn, steals a white elephant from Michel Strogoff in Siberia and challenges Captain Hatteras at the North Pole. ILLUSTRATED WITH OVER 150 ORIGINAL ILLUSTRATIONS BY ROBIDA.